The 2014 Big Show Series opens up this weekend at Fast Farms MX in Altamont, TN. 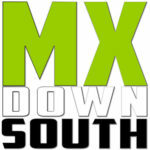 Â The series has 14 events including a trip down south to Vet MX Park! Fast Farms 2014 Big Show Race Series To View Race Classes & Rules Click Here!